Today’s network administrators are more than a little familiar with all of the cables that are necessary to connect hardware appliances and computing equipment. 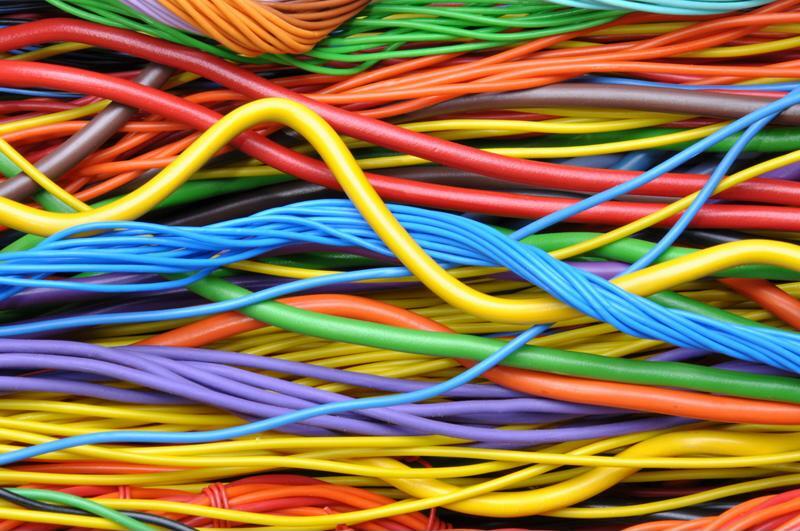 These wires may not seem glamorous, but they form the bridges that unite all the different components of a network. According to TechTarget, the foundation of today’s network infrastructure can be traced all the way back to the invention of the telegraph in 1844. Networks and their underlying cables have changed drastically since then, of course. Ethernet – often the standard wired connection used today – was first created in the 1970s by the Palo Alto Research Centre division of the Xerox Corporation. By the end of that decade, DEC and Intel had partnered with Xerox, enabling the organizations to establish some of the first network cabling standards for the use of Ethernet. Cabling standards became essential in the intervening years order for businesses to leverage more expansive networks that included components from different vendors. In the early 1990s, the Telecommunications Industry Association and Electronics Industries Association created the network cabling standards still used in the IT and telecom sectors today. Shielded and unshielded twisted pair cable: These cables house pairs of wires, with a specific number of twists per inch to prevent electrical interference. Unshielded twisted pair cables are more popular in networks, although shielded cables can be helpful for sensitive environments and areas prone to considerable interference. Shielded cables include a foil or braid shield inside the cable’s jacket covering, as well as an additional shield around each pair of wires. Coaxial cable: This cable features a single copper conduction at the center, a plastic insulating layer, a braided metal shield and the outer jacket. While often somewhat difficult to deploy, coaxial is ideal for a network needing longer cable lengths between components. It is commonly used as an alternative to twisted pair cables. Fiber optic cable: This cable includes a glass or plastic fiber core and several protective layers, enabling it to transmit light as opposed to electronic signals. This prevents the issues with electrical interference mainly seen with twisted pair cables. Fiber optic offers longer-range signal transmission compared to other cables, making it well suited for communication services. While its cost is comparable to copper cabling, it is much more complex in its installation and adjustment. Ethernet categories: When it comes to Ethernet cabling, there are several choices available including category 3, 5 and 6. CAT 3 cables aren’t seen very often in today’s networks, as they have been replaced by CAT 5 and CAT 6 cables. CAT 5 cables are mostly used in phone networks and can sometimes be utilized for gigabit network depending on the cable’s age. CAT 6 cables, oh the other hand, can support 1000 base-T or higher speed Gigabit Ethernet. Ethernet cable categories reflect their speed and MHz – the higher the category, the higher speed and MHz the cable can support. More information on the different categories of Ethernet cables can be found here. Cables are still critical parts of today’s computing networks. Moving into the age of wireless: Are cables still necessary? While wireless, and therefore cableless, networks are becoming more common as devices like smartphones and tablets become more commonplace, this does not mean that cables are no longer effective. Although a wireless network may provide some benefits in terms of mobility and cost, they can also be lacking when it comes to performance in the face of electrical interference and transmission speed. Plus, of course, you still need cabling for your wireless routers, servers and many other pieces of critical equipment. For these reasons, a vast number of enterprises still depend on network cables for their computing needs.